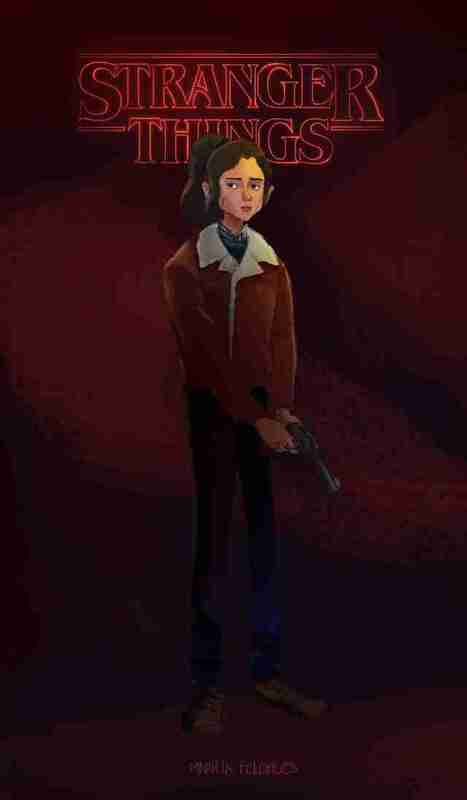 It makes sense that Stranger Things has spawned so much fan art because the show, which was inspired by the work of creators like Steven Spielberg, John Carpenter and Stephen King, is itself a mega-budget piece of fan art. The second season, now streaming on Netflix, answers some of your most urgent questions -- like, seriously, what happened to Will in the Upside Down? -- but, more importantly, introduces new characters, settings, and monsters for obsessives to draw. Or sculpt. Or stitch onto a pillow. 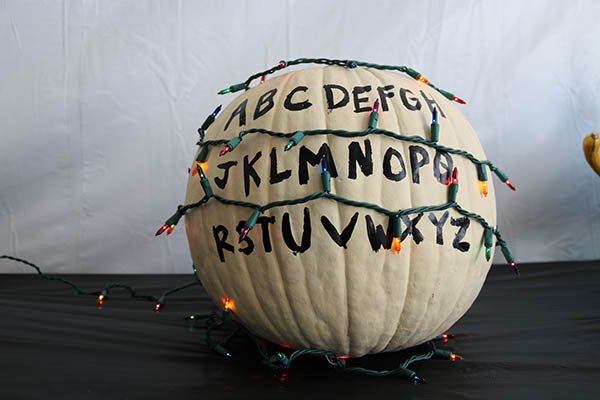 Whether they're posting on Tumblr, Etsy, Reddit, DeviantArt, or just constructing their own replica of Winona Ryder's Christmas light art installation, the online fan community has run with the concepts created by the Duffer Brothers for their surprise hit Netflix series. 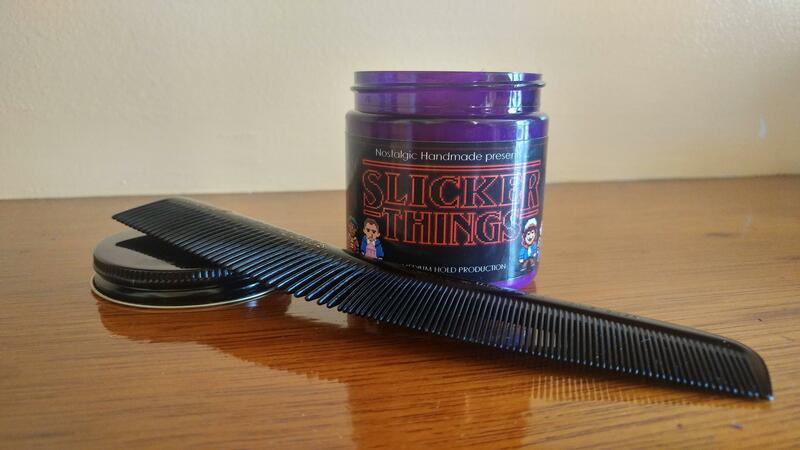 While the proliferation of products inspired by the show continues to grow -- Ouija boards, sneakers, and pomade -- the world of fan art remains the place where wildest and weirdest creativity takes place. In anticipation of all the new fan art that will fill you dashboard in the coming weeks, let's take a look back at some of the coolest examples of fans drawing inspiration from the sci-fi show. Love Netflix's 'Stranger Things 2'? Watch These Movies and Shows Next. You could spend hours searching through the different pieces created by illustrators inspired by the show. The above portrait of Nancy by artist Marilia Feldhues gives you a sense of how a talented artist can take one character -- or moment -- from the series and put their unique spin on it. This portrait is especially dark and moody, like Nancy has been thrown into her own noir spin-off. Check out Feldhues' Tumblr or her Behance page for more examples of her work. 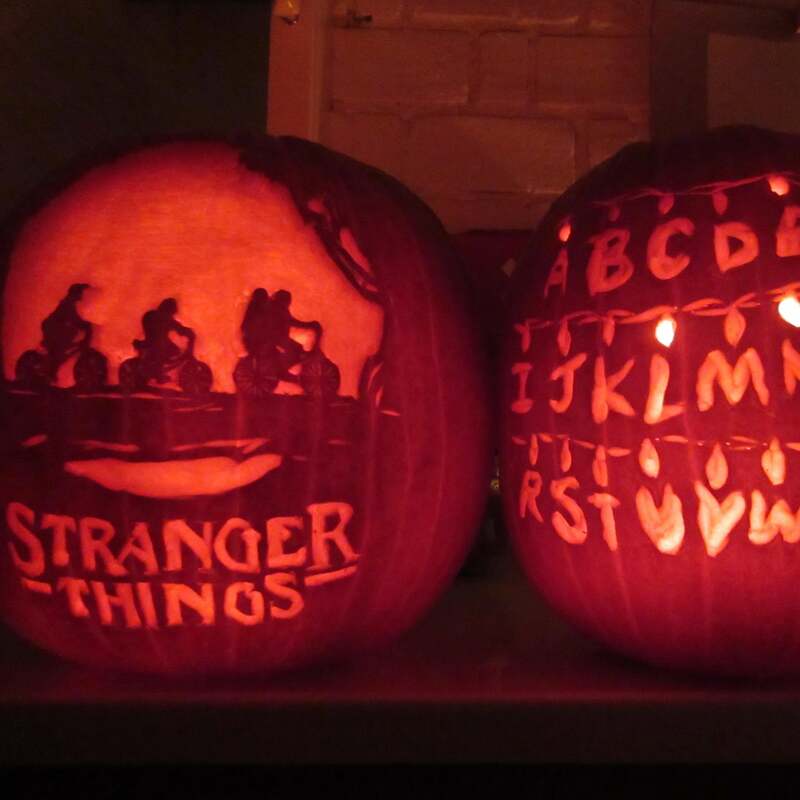 Even though the first season of Stranger Things arrived in the summer, many people still associate the show with fall. After all, the first season took place in November and the creators have double-downed on the autumnal vibes with the new season, which centers around Halloween and features the kids dressing up as the Ghostbusters. 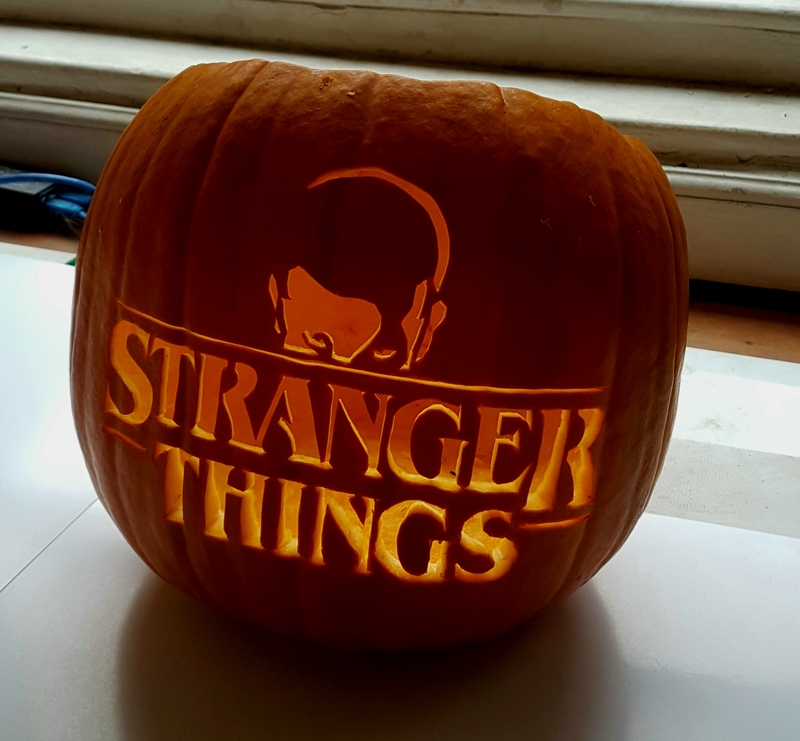 Really, there's no better way to celebrate your fandom than carving up a pumpkin with the show's logo. Any cursory glimpse around the internet will reveal this as a popular move -- and a sure fire way to guarantee you some votes in your neighborhood pumpkin carving contest. After hours of streaming, you need to rest your head on something. 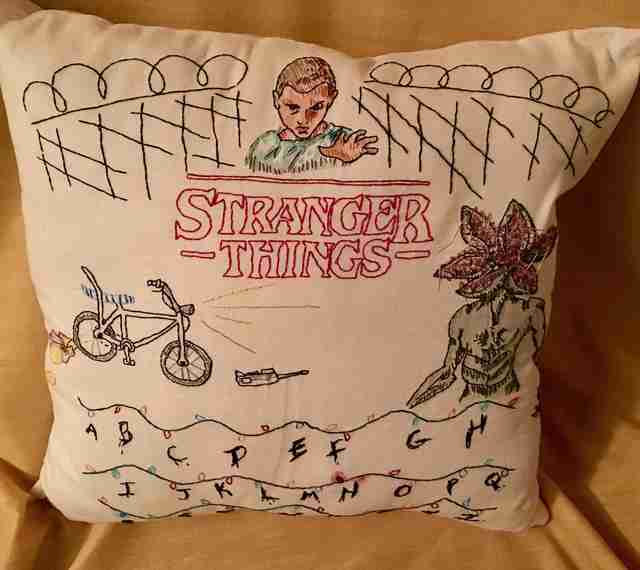 How about this hand-stitched pillow? 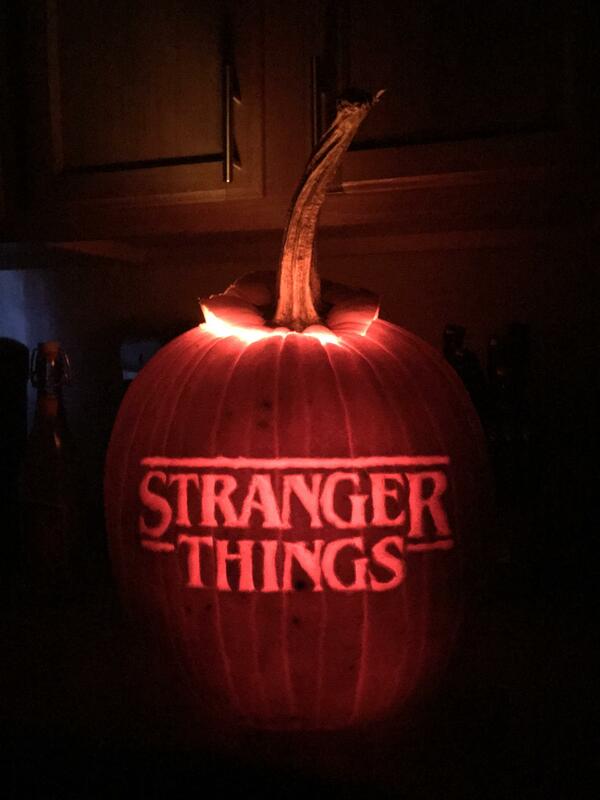 We can't guarantee that it won't lead to some Demogorgon nightmares, but that comes with the territory. You've been warned. With its bold colors and simple design, paper art is perfect for the nostalgia-heavy vibe of Stranger Things. These little figures speak to a simpler time when everyone was... made out of paper? Actually, now that we think about it, it is a little creepy. 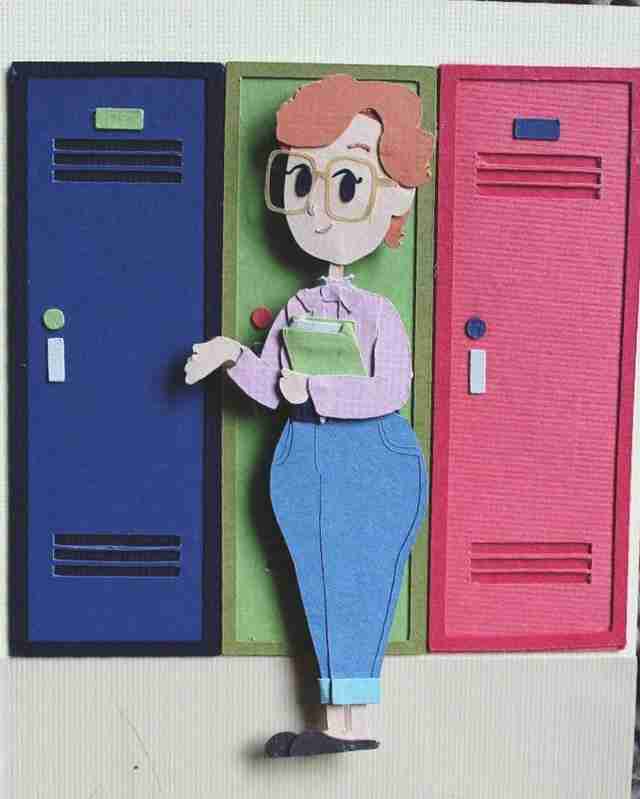 But if you're looking for similar examples of paper art from the same artist, check out her Etsy page where she's now selling paper art pieces of important women from pop culture and history. 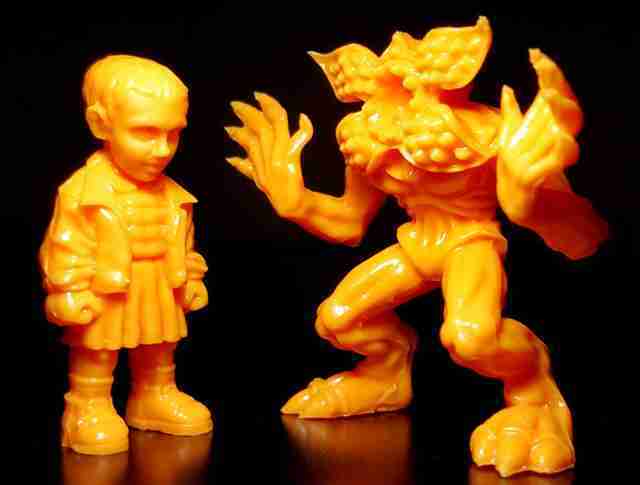 According to the Reddit thread I found these Cheetos-like sculptures on, they're created using three steps: sculpting, mold making, and casting. "For sculpting, I prefer to go digital, my molds are made with silicone, using a 3-D printed prototype, and the casting material I use is a firm rubber," writes the artist, whose work can be found at Alien Robot Monster. In addition to the Stranger Things minis, there's some oddly muscular monsters to check out on the page as well. American Stranger Things, picture of the print available in the Etsy, link in bio! There's a long tradition of fans inserting their favorite characters into famous paintings. (Michelangelo and DaVinci are two notable favorites.) But this one, which gives a Stranger Things twist on Grant Wood's "American Gothic," really takes the cake. What an inspired idea from illustrator Steven Payco, whose work can be found on his Instagram or his Etsy page. The connection between Stranger Things and Dungeons & Dragons is real. (After all, that's where the show's famous monster drew its name.) So, it only makes sense that artist Glen Brogan would be inspired to create this mock campaign, which parodies the aesthetic of the game's classic manuals. This one is just a tradition at this point. 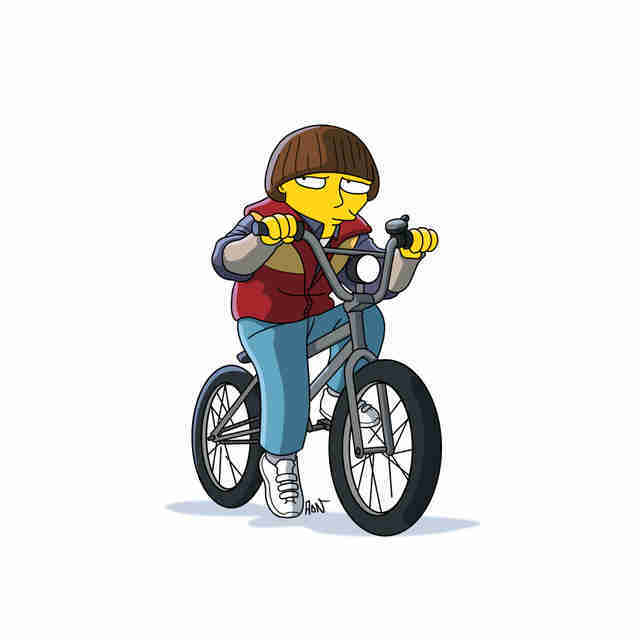 If you're book, TV show, or movie is even remotely popular, someone is going to give it The Simpsons treatment, and really if you don't get a cameo on the actual show, it's still an honor to get drawn by artist Adrien Noterdaem, who has run the excellent Draw the Simpsons Tumblr for years now. The spooky synth music crafted by Texas-based group Survive was a big part of the show's appeal, so it's not surprising that lots of fan art takes a musical approach. 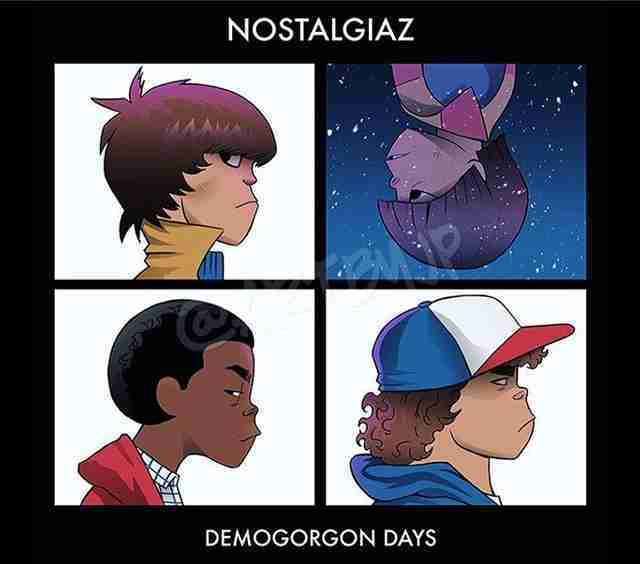 I'm partial to this delightful reimagining of the Gorillaz album cover Demon Days, which inserts the young kids from the show into the slots of the band's cartoon members. Artist J.P. Perez also has an Instagram and an Etsy shop where you can scope out a wide range of pop culture adjacent items. 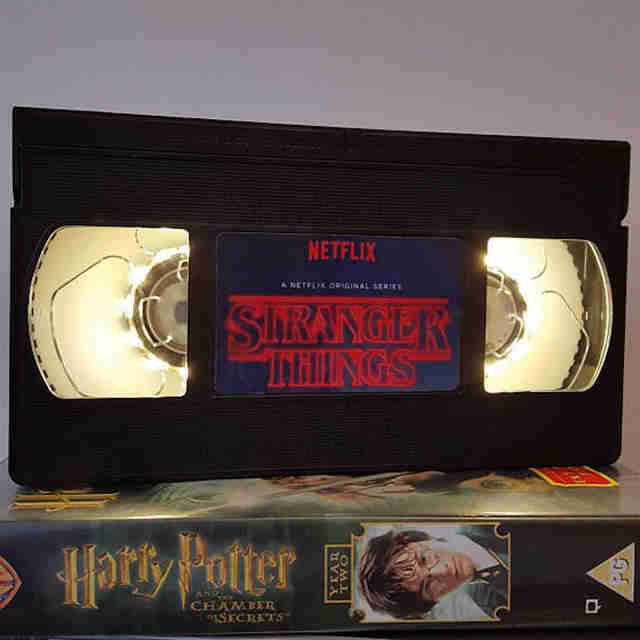 There's a ton of Stranger Things related VHS ephemera out there. (It's matched perhaps only by the amount of old-school video game parodies.) But this lamp, which you can purchase from artist Haley Summers's Etsy page, might be the oddest piece of VHS fandom. How long before people become nostalgic for DVDs and start building disco-ball like mobiles out of them? Is Eleven Actually the Monster on 'Stranger Things'? Not all fans have the magic touch with a paintbrush or a pen. 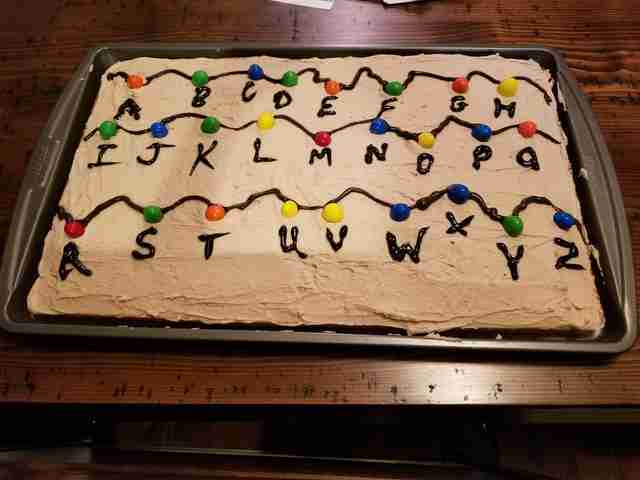 Some are better with a whisk, like the person who made this Stranger Things-inspired birthday cake. We can only hope it tastes as good as it looks. What does Stranger Things have to do with the long-running FX comedy series It's Always Sunny in Philadelphia? Nothing, really. 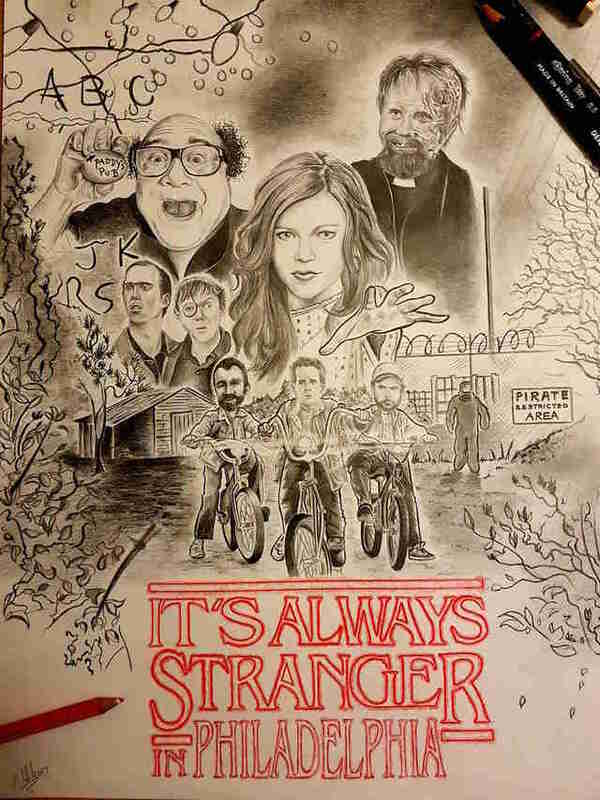 But that doesn't mean you won't laugh at this vivid reimagining of the show's "gang" as teen bike-riders by artist Matthew Holland, who is selling a T-shirt version of the pencil drawing on his Etsy page. This one is just crazy impressive. Australian makeup artist Georgina Ryland has built up a following by creating stunning body art of images from The Lion King, Jaws, Lord of the Rings, and other pop culture touchstones. But beyond the paintings themselves, the coolest part is the time-lapse videos, like the one above, where you get to watch her in action. If you've ever tried to give yourself a temporary tattoo with a marker, take notes.